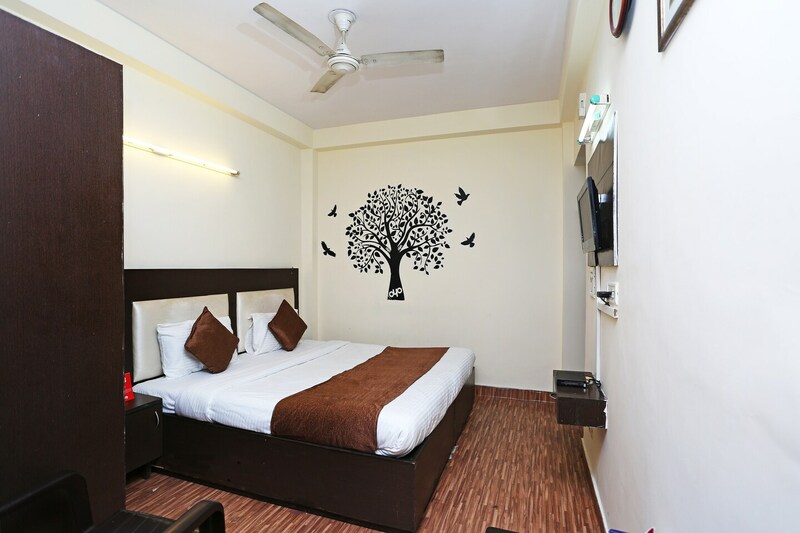 Hotel Innova Homes is a modern property with bright and tasteful rooms, located in Safdarjung in Delhi. It is close to Mohammadpur Bus Stop and AIIMS Metro Station Railway Station. Tourist locations nearby are Hauz Khas District Park, Pondicherry Magic, Qila Rai Pithora Fort, and National Zoological Park. The hotel has in-house dining space and a banquet hall for special events. The rooms are spacious, with bright white walls and lovely murals. They feature modern furniture. The bathrooms are also clean and well-maintained. Each room comes with a TV, AC, seating area and free Wi-Fi. The bathrooms have geysers. The hotel also offers power backup and CCTV security. Eateries in the vicinity are Oh!Assam, KPG Express, Rajinder express, Mizo Diner, Cafe Delhi 29 and Hornbill.